This week’s minorities in cartoons entry is John Constantine, a DC Comics character. Constantine first appeared in “The Saga of the Swamp Thing” #37 (June 1985). He was created by Alan Moore, Steve Bissette, and John Totleben. Constantine’s a British “occult detective,” who investigates various magic-related goings-on in the DCU. Constantine’s appearance was based on the rock musician Sting. However, he’s actually a cynical, downtrodden, chain-smoking, and shady anti-hero. Despite being highly skilled in the use of magic, Constantine prefers using his wits to deal with foes. John’s backstory states he comes from a magical lineage. However, he also had a very rough childhood, most of which was spent in Liverpool with his alcoholic father. John ran away as a teenager, and eventually settled in London. It’s there that John became fully involved in the world of magic and the occult. While he first appeared in “Swamp Thing,” Constantine’s most high profile comics run was starring in his own book. “Hellblazer” was released under DC’s Vertigo imprint, and ran from 1988 to 2013, for a total of 300 issues. A few magic/supernatural-related DC characters (such as Zatanna) made appearances in the book. However, aside from those cameos, the Vertigo comic was basically set in its own world. One storyline in the series made mention of Constantine being bisexual. 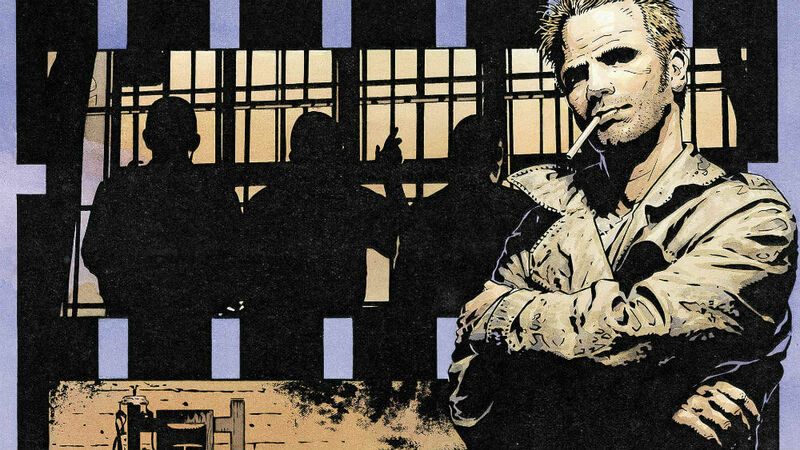 Unlike most “Big Two” comic characters, Constantine was allowed in his book to age in real time. After the cancellation of “Hellblazer,” Constantine was forcibly folded back into the DCU-proper. Constantine’s DCU-set books kept his bisexuality intact, despite initial fears of being retconned. Constantine’s first major media depiction was in the 2005 movie “Constantine.” There, John was played by actor Keanu Reeves. The film was critically panned; it has a 46% Rotten Tomatoes rating. It also flopped domestically at the box office, earning $76 million (on a $100 million budget). “Constantine” did go on to earn $230.9 million worldwide. John received an NBC series in 2014, where he was played by actor Matt Ryan. However, “Constantine” was cancelled after 13 episodes. The series was criticized for not portraying John’s sexuality, as well as not showing the character’s trademark chain-smoking. The series did start to show John smoking occasionally late in its run, according to Wikipedia. Previous Post:What does it really cost to be Batman?